The Roman Forum, the Leaning Tower, the Piazza San Marco: these are the sights synonymous with Italy. But such landmarks only scratch the surface of this magical country's offerings. In See You in the Piazza, Frances Mayes introduces us to the Italy only the locals know, as she and her husband, Ed, eat and drink their way through all twenty regions--from Friuli to Calabria. Along the way, she seeks out the cultural and historic gems not found in traditional guidebooks. Frances Mayes has always adored houses, and when she saw Bramasole, a neglected, 200-year old Tuscan farmhouse nestled in five overgrown acres, it was love at first sight. Out of that instant infatuation have come four marvelous, and hugely popular, books: the bestsellers Under the Tuscan Sun, Bella Tuscany, In Tuscany, a collaborative photo-textbook with her husband, the poet Edward Mayes, and photographer Bob Krist, and Bringing Tuscany Home: Sensuous Style From the Heart of Italy, another collaborative book with Edward Mayes and photographer Steven Rothfeld. All four highly personal books are about taking chances, living in Italy, loving and renovating an old Italian villa, the pleasures of food, wine, gardens, and the "voluptuousness of Italian life." The third book in her Tuscan trilogy, Every Day in Tuscany: Seasons of an Italian Life (due out in spring 2010) , is about Tuscan seasons and Mayes' reflections on her Italian life. She was awarded the Premio Casato Prime Donne for a major contribution in the field of letters in 2009. Her first novel, Swan, a family saga and mystery, returns Mayes to her childhood home of Georgia and was published in 2002. A film version of Under the Tuscan Sun, starring Diane Lane, was released in fall of 2003. 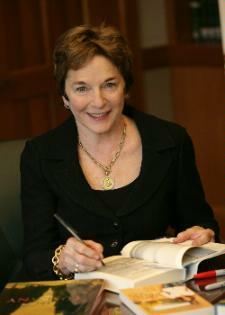 Frances Mayes was the editor for the 2002 Best American Travel Writing. She is also the author of the travel memoir entitled A Year in the World: Journeys of A Passionate Traveller, which immediately debuted as a New York Times bestseller in 2006. Working again with Steven Rothfeld, she published Shrines: Images of Italian Worship, also in 2006. A widely published poet and essayist, Frances Mayes has written numerous books of poetry, including Sunday in Another Country, After Such Pleasures, The Arts of Fire, Hours, The Book of Summer, and Ex Voto. Her work The Discovery of Poetry: A Field Guide to Reading and Writing Poems is widely used in college poetry classes. Formerly a professor of creative writing at San Francisco State University, where she directed The Poetry Center and chaired the Department of Creative Writing, Mayes now devotes herself full time to writing, restoring an historic garden and to her "At Home in Tuscany" furniture line at Drexel Heritage. She and her husband divide their time between North Carolina and Cortona, Italy.